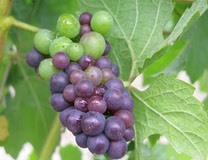 The Keefer Ranch fruit is sought after by most wine makers, being of great quality and full succulent flavours. This Loring use of Keefer has long since been one of my favourites and this year is no exception. Deep black cherry and cola on the nose, when you taste the wine the lush tannins balance the fruit and this forms a great balanced wine. A keeper !